Q: João Paulo, tell us something about yourself. I am 51 years year old and was born in Braga in Northern Portugal but now live in Porto. I am a major shareholder and the Dean of a private university (IESF - Instituto de Estudos Superiores Financeiros e Fiscais) and have a degree and a masters in economics. I was involved in financial markets and earned money in the futures market with which I bought the university. I have been to all the recognised independent countries in the world. Q: What is it about travelling that attracts you? In 2000 my cousin Jorge Sequeira and I went to Ukraine and there he asked me how many countries I had been to. I was amazed that he was counting countries, I hadn’t thought of that until then, and took an interest in that. Meanwhile, when I first travelled to India, my first country in Asia, I saw how different it was and learned to appreciate the diversity of the world in terms of people. After finishing university, I had gone to Greece and the Greek islands and for six years just kept on returning to Greece – until I understood there is more of the world than that. So, initially, from 2000 onwards my goal was to have more countries than my cousin; then it was to have more than 100 countries; then to do more than our president Mario Soares who had 125, they said; and then to do more than the pope, John Paul II, who had around 150. After that I realised I can have them all. Q: So when did you finish and which was your last country? When I realised I had around 40 countries to go, I decided Israel was the one left with the most historical meaning, and decided to leave it last. 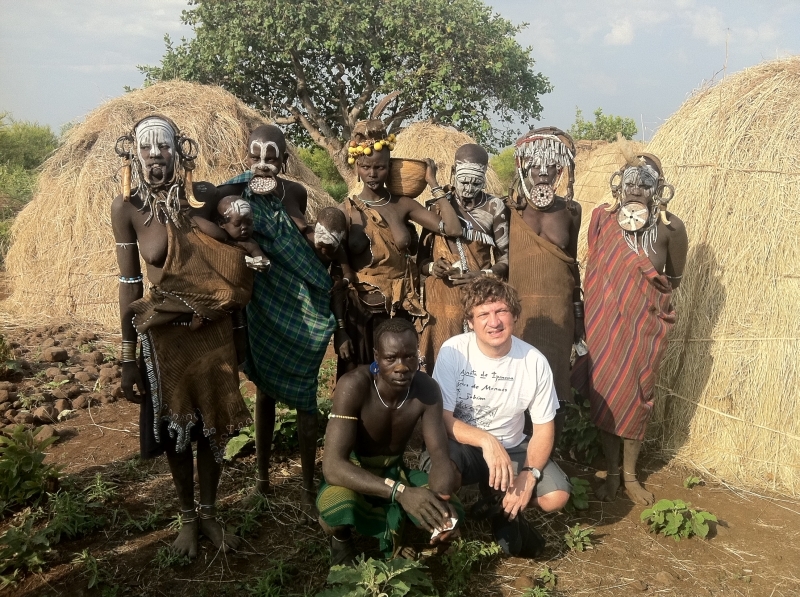 In 2011, just as I was about to do it, South Sudan became independent, so I headed there first from Ethiopia. 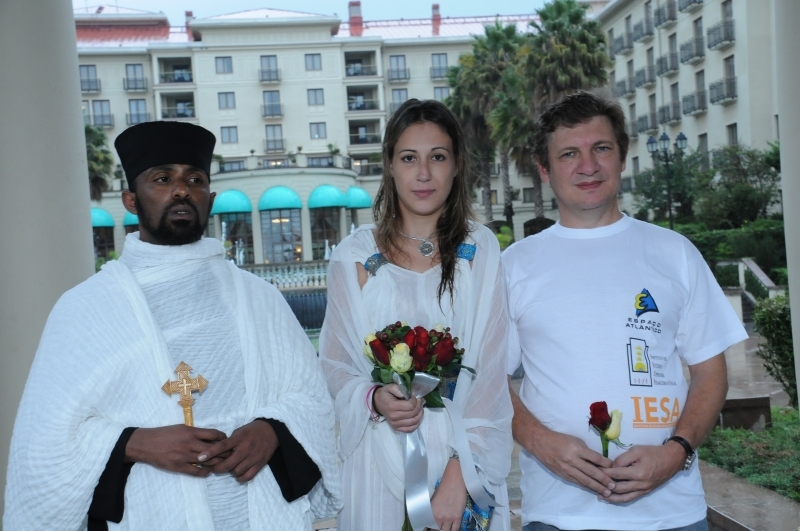 In Addis Ababa, I proposed to my companion Ana Lisa at noon, she accepted, and at 5 pm of the same day we got married in an Orthodox wedding at the gardens of the Sheraton hotel, an employee of the restaurant being our best man. We then headed to South Sudan, and then to Israel with my wife and my friend Luis Amaral. He had arrived before us and texted me that he had been taken to a room and questioned for all his strange passport stamps, that was the last message I got when boarding the plane in Addis Ababa, so I was very nervous. They did indeed ask me to go to a room too when they saw my passport, but after 10 minutes I was ok.
Once I was in Israel, I felt like someone who has finished university, to have done all the countries in the world is such an achievement. Meanwhile Lisa and Luis had contacted TV and newspapers in Portugal. 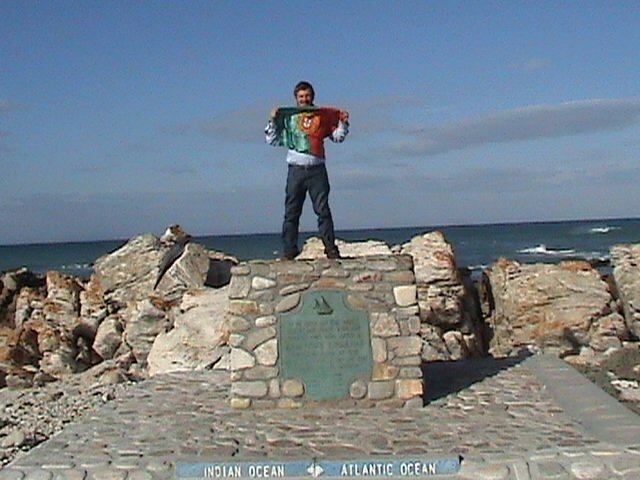 When we returned, without my knowing, my children were at the airport wearing T-shirts ‘My father was number one’ as I am the first Portuguese to do all the countries in the world. There were drummers at the airport to celebrate and lots of cameras and journalists. For months there were articles and TV programmes about me. Q: That’s truly amazing. 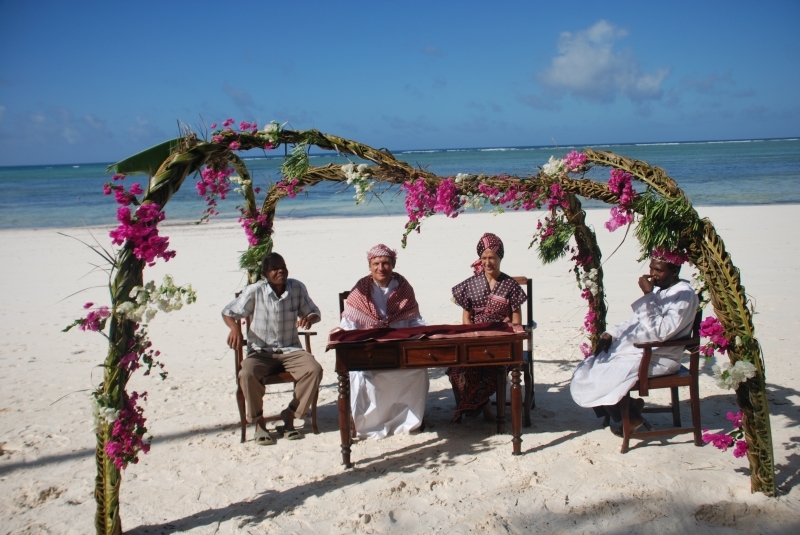 A wedding and the last country together… You had children already? Yes I have now a total of seven children. For me, there are two kinds of trips – the ones you go alone, and the ones you go with family. 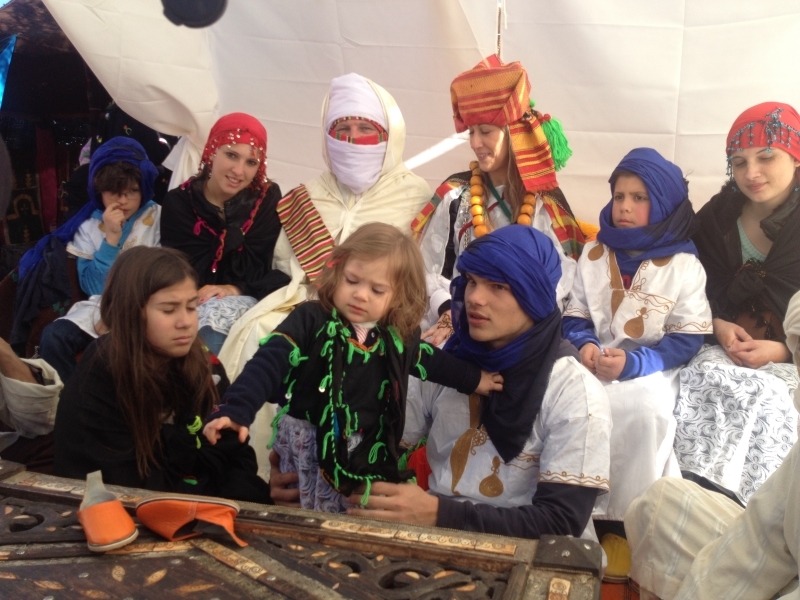 Last year I took my wife and my 7 children (the oldest is 20 and the youngest is 3) to Melilla in Spain, and from there we went to Morocco on a bus and then the desert areas of the country in the east, further than Ouarzazate, where you can see the border with Algeria. My children may not talk very much about it, but I know they loved it. I want to show them as much of the world as possible. Q: What about a memorable experience you had when travelling alone? I was in Urumqi in China and took the train to Kashgar, but during the trip there were floods and so in the middle of the road the train stopped and I had to continue by bus. We were told not to go further into Pakistan because of the floods, but in Kashgar I realised it was possible to go, so I did it, often taking secondary roads, and seeing a lot of destruction on the way. When I arrived in Peshawar finally, there were many refugees who had lost their homes in the floods. 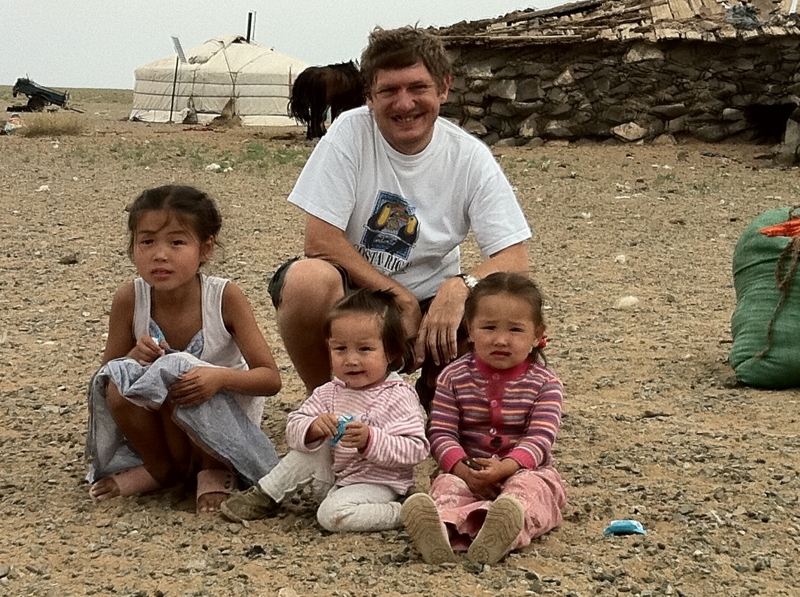 I asked permission to visit them, gave them my coat and brought them water. They had no help from the UN, so I asked my followers on Facebook to contribute 200 euros each to help these people and soon I had 30.000 euros with which I could help more than 30 extended families try to rebuild their life. I taped their reactions and this was very profound for me, as it made a true difference to them. Q: Do you have a blog or do you write about your travels? I have a website but it is not online as I have not had the time to upload everything I want, for now I prefer to put things on TBT! I eventually plan to write a book called ‘So sabe quem la vai’ – Only the one who goes knows, but this is a very long-term project. I do have a Facebook page on travelling where I add experiences. Q: Portugal is traditionally a country of explorers and voyagers. So, are you typically Portuguese in that? 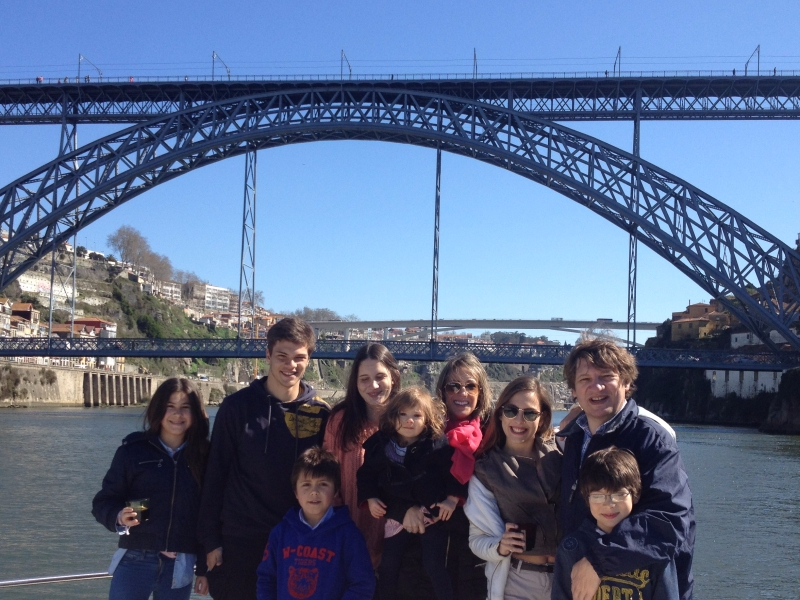 I believe that we Portuguese really like to travel, yes, even with the crisis people travel, it is in the genes. One of the things I most discovered in my travels is the importance of Portugal in the world, not only in our former colonies but in places I could not imagine. For example, Vanuatu and Soqotra (in Yemen) were discovered by the Portuguese, Indonesian has many Portuguese words, there is a ‘Portuguese bridge’ in Ethiopia and in Japan I went to a Portuguese museum. We may not remember these places, but they remember us. Q: So, if you could invite four people to a fictional dinner, would they be Portuguese explorers? I would rather invite Gandhi, Buddha, Jesus Christ and Mohammed. Because everything is about religion. Civilisation is about religion, and I think that religions are very similar – even if you may think you have no religion, I believe that everything, the way you think, how you behave, is deep down about that. Q: What are your travel plans for the near future? I hope to go to Abkhazia, South Ossetia and Transnistria where I haven’t been. At some point later I would also like to do a cruise to some remote Pacific islands.